Since the attack, Kenyan authorities have yet to acknowledge that the vast majority of the region’s Muslims condemn the violence as much as anyone else. Likewise, no one is cautioning that the 2 million Kenyan Somalis and the almost 1 million Somali refugees in Kenya are also totally innocent of this crime. 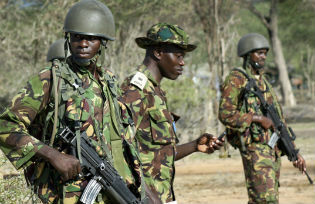 There is a real danger—as experienced by Muslims, Sikhs, and people of Middle Eastern descent in the United States after 9/11—that the Kenyan government will use this attack to curtail civil liberties, commit ethnic and religious profiling, and challenge anyone who opposes state policies as unpatriotic, potentially leading again to a repressive autocracy reminiscent of the Moi years.